Although the art of letter writing has largely become obsolete today, an attempt is being made to bring back this noble means of communication. However, the issue remains – most of us are unfamiliar with the overall pattern and format of a letter, be it formal or a friendly one. 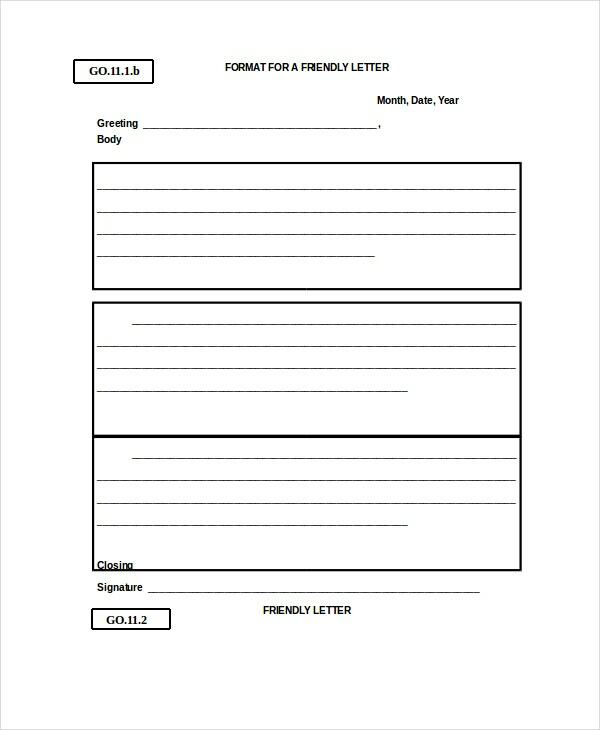 In case you are planning to send out an informal letter to your friends or near and dear ones, you can always take the help of the friendly letter templates here. 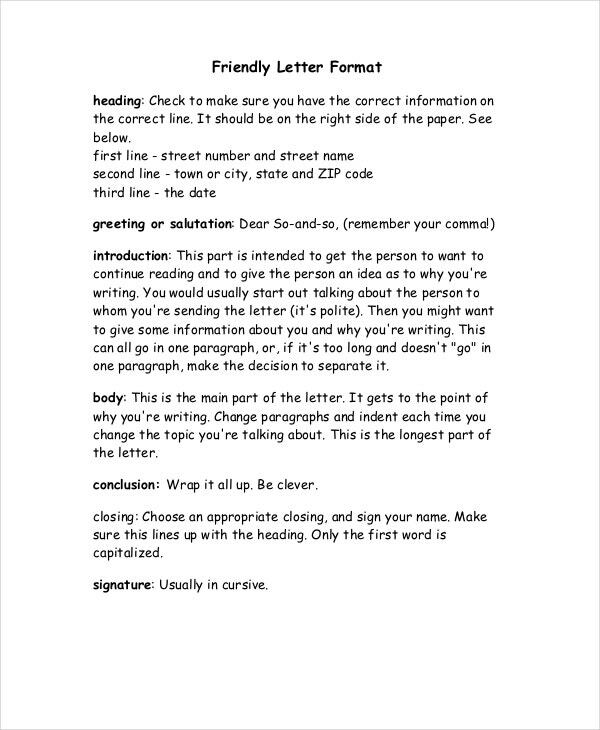 This is an example of a friendly letter format. 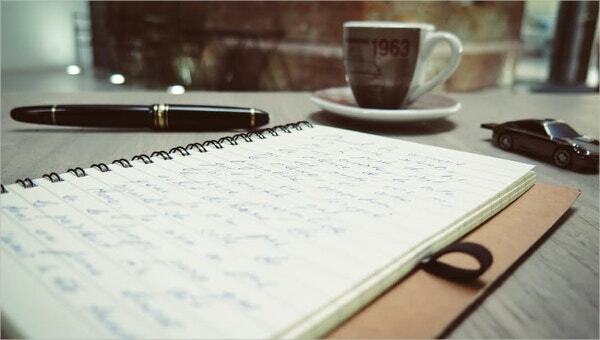 It can be used while writing a letter to your friends or family members. Also, you can download the letter format and print it as well. This is a perfect example of what letters for kids should be like. 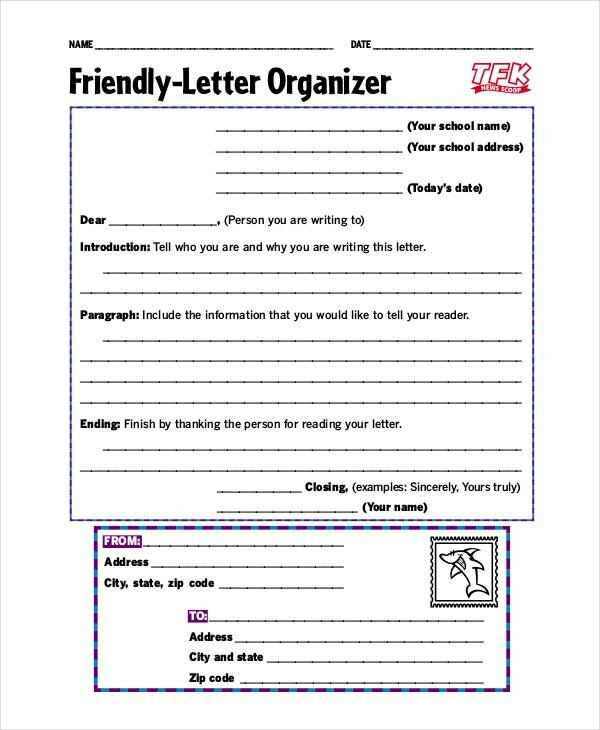 If you or your kid is planning to write a cute letter to someone, then this is the template you should go for. 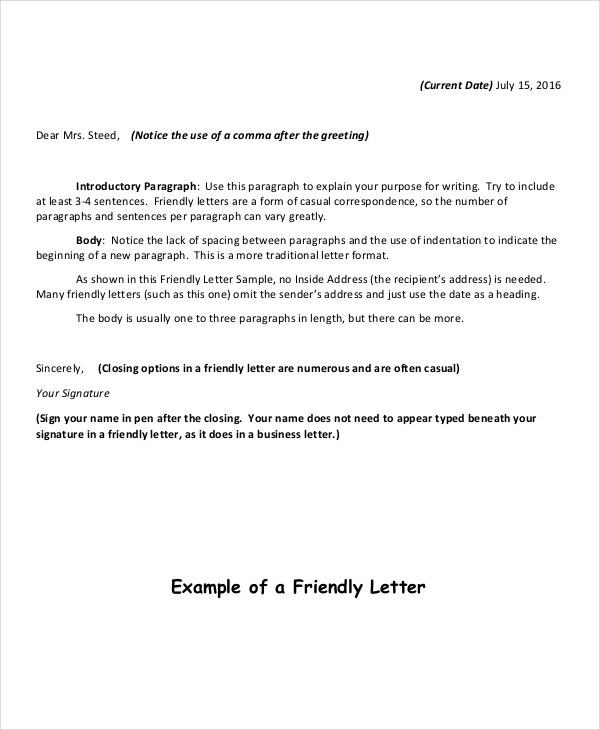 This template provides a great sample of what a friendly letter should be like. You can go through the format presented here and then alter it in a way that suits your needs. 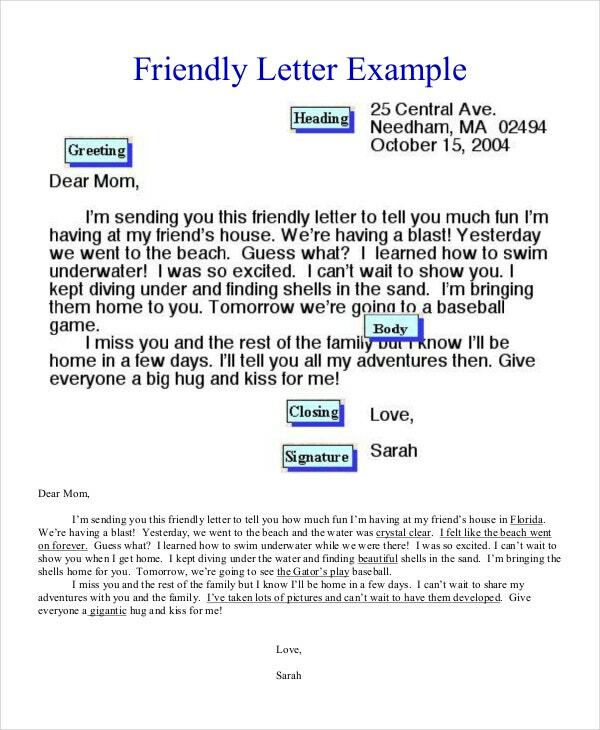 > Why should you use the Friendly Letter Formats? 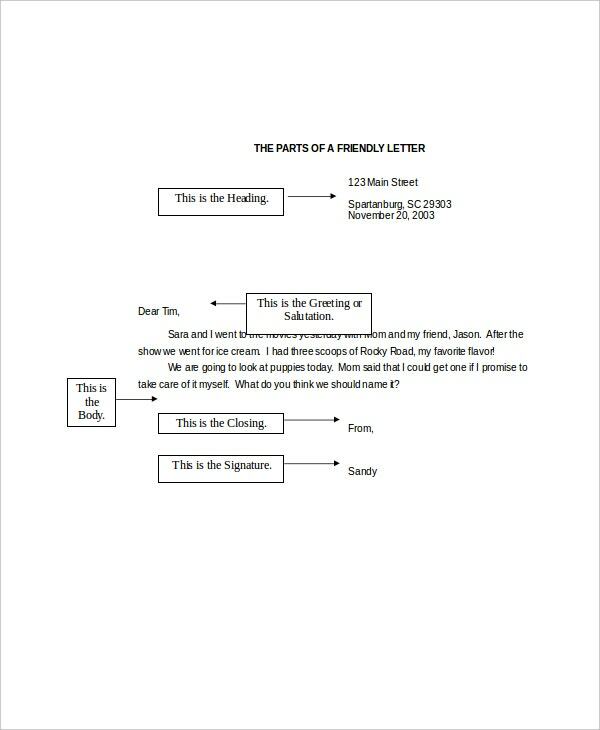 When you think of a letter, you immediately think of the format. Think of your modern emails – can you organize the various information on them in any way you wish? You cannot. The same goes for letters. You will have to abide by a format that is universally accepted everywhere. Also, you must remember that formal and informal letters have distinct formats. 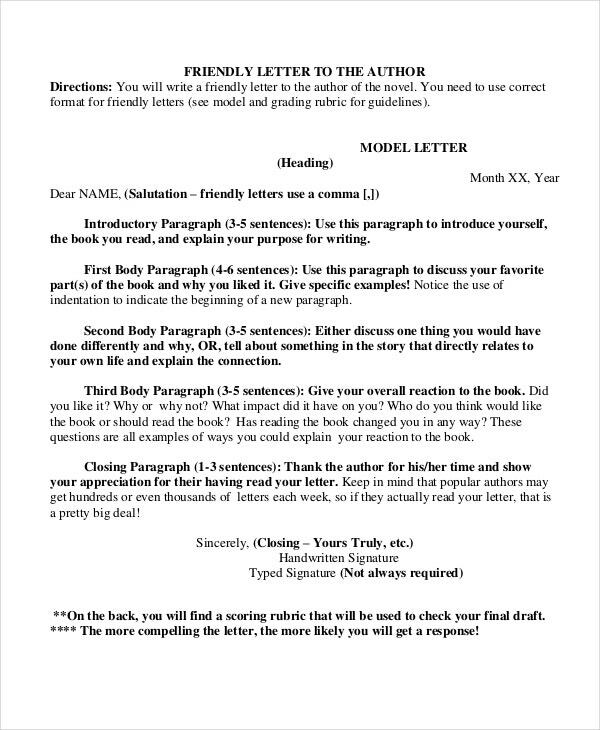 In case you are writing an informal letter, you will have to keep in mind the accepted format. To do that, you must take a look at some of these friendly letter formats provided in this section here. 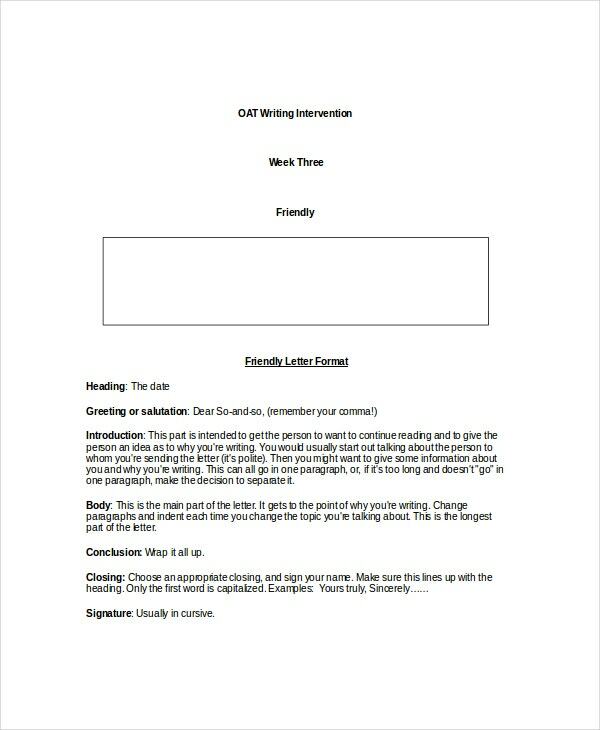 You can also see Letter Templates. 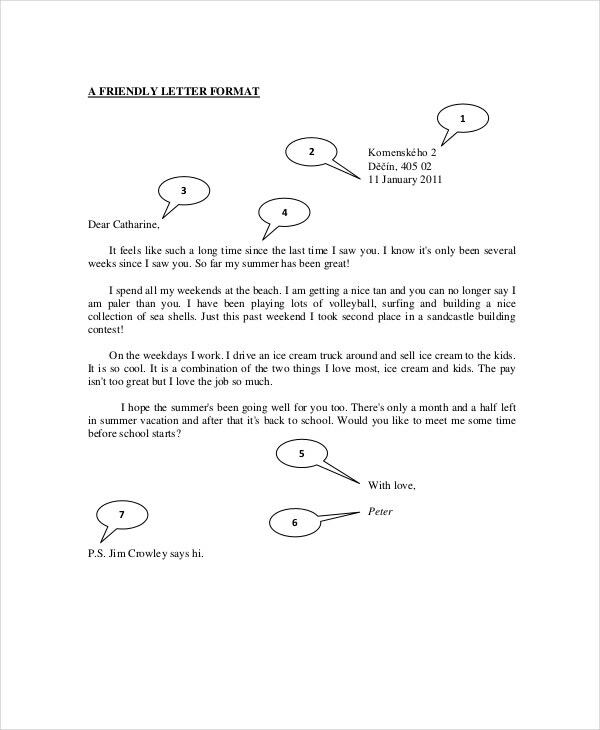 This letter template here is a standard example of what an informal letter should be like. Not only does it provide the accurate format but also gives you an idea as to what the content should be like. With the letter formats here, you do not have to worry about the format or the pattern. It has already been provided to you. 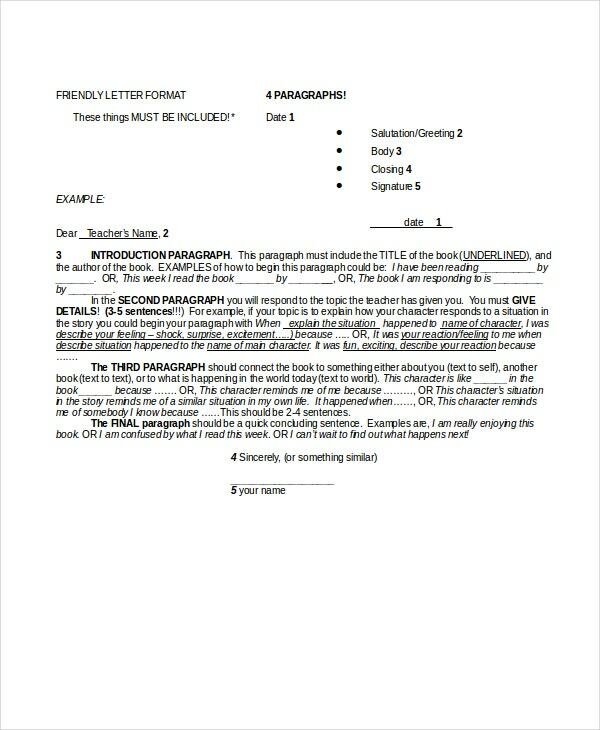 Sticking to the format, you can make certain changes to the content of the letter and then print it. The letters are versatile in nature and can be used in multifarious ways. Here you will find a range of letters that cater to a number of cases like letters for kids and so on. Also, these letters work as splendid samples in case you need to look up the pattern or are running out of ideas of what to write about. While writing a letter, we are often stuck in a rut as to what to include and what to leave out. A letter of any kind needs to be precise, compact, casual and should possess a good flow. That is exactly what you get with these professional letter formats found in this section. Plus, the templates here are really easy to use as well.